The Conference will be held from Monday 24 to Friday 28 June 2019, at the University of Padova in northern Italy. 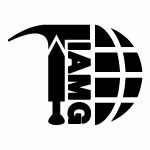 The Conference is being organised on behalf of the IAMG by the Department of Historical and Geographic Sciences and the Ancient World (DiSSGeA) and the Italian Society of Military Geography and Geology (SIGGMI). More details here – LINK.